When I don't have time, this dish saves so much time and makes a very nice savory main course. I love it! 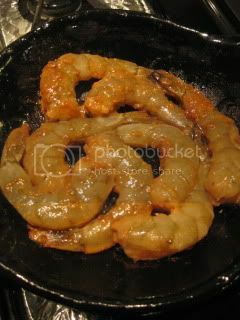 You just quickly marinade the shrimp and cook in the Iga-yaki donabe skillet, "Toban". Once it's ready, you can take the toban right to the table to enjoy. 1. 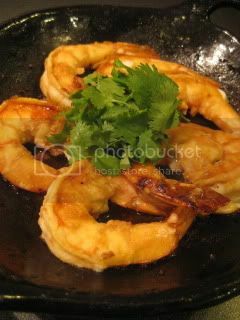 To make the marinade, whisk together 2T miso, 1 clove garlic (grated), 1tsp grated ginger, 2T lime juice, 1tsp sake, 1/2T sesame oil, and 1.5T olive oil. 2. 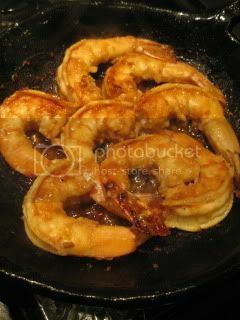 Peel 8 jumbo shrimp and marinade in the miso sauce for 10-15 minutes. 3. 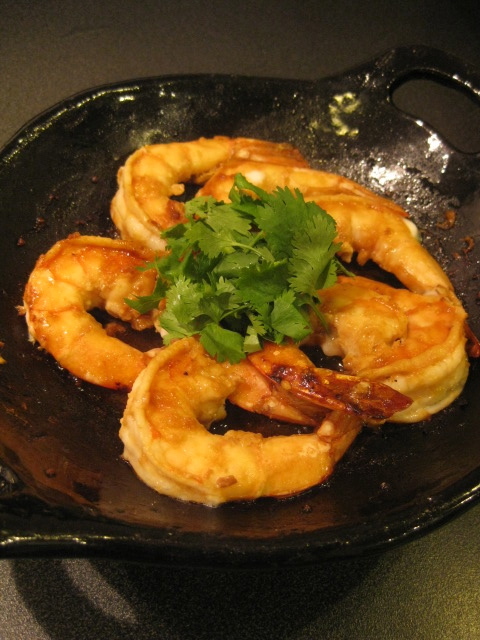 Pan-sear the shrimp in the oiled Toban both sides until cooked through.